April 10 is John Leslie’s birthday. Leslie was a Scottish mathematician and physicist best known for his work on heat transfer and heat radiation. One of the most striking demonstrations he created is known as a Leslie cube. He constructed a cube made with metallic sides. One side was a bright and shiny polished copper surface, the opposite side was painted black with the remaining two sides were unpolished copper. The bottom face was used as a stand and the top allowed Leslie to fill the cube with boiling water. With this apparatus, Leslie showed the differences in the heat radiating from the cube on the different sides. The most heat radiated from the blackened surface while the least heat radiated from the polished side. Most of his heat research dealt with heat and moisture. 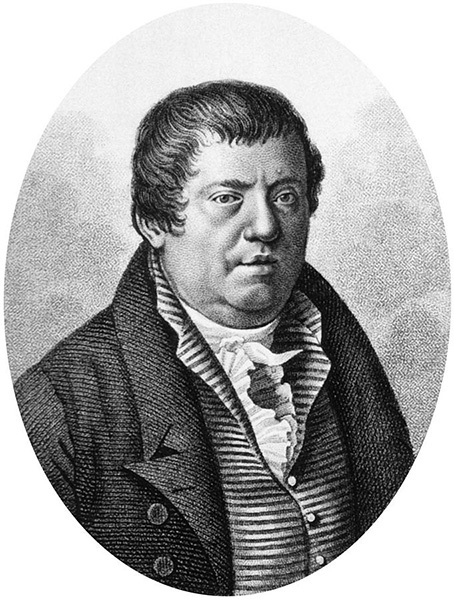 He is credited with inventing several meteorological instruments such as a differential thermometer (useful to measure small temperature changes), a wet bulb and dry bulb hydrometer (to measure dew point depression), a hygroscope (device to measure humidity in air), and an atmometer (device to measure rates of evaporation). It was from this research that Leslie became the first person to artificially produce water ice. He accomplished this feat using an air pump system which effectively worked the same way refrigeration systems work to this day. Leslie was prolific in his writings as well. He published several texts on mathematical subjects such as geometry, geometric analysis, and trigonometry. He often used examples in Physics to illustrate and teach principles in mathematics. This would give students a real-world feel for the abstract topics he covered in his classes. He published the first comprehensive account of capillary action of liquids. 2013 – Robert Edwards died. Edwards was an English physiologist who pioneered the medical technique of in-vitro fertilization. This technique involves the fertilization of a human egg cell and culture it to implant it back into a female host. His efforts led to the birth of the first “test tube baby”, Louise Brown in 1978. This research has allowed previously infertile couples to become parents and earned him many honors including the 2010 Nobel Prize in Medicine. 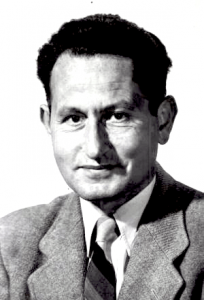 1999 – Heinz Ludwig Fraenkel-Conrat died. Fraenkel-Conrat was a German-American biochemist who discovered the complementary roles of the component structures of viruses. He found viruses were built of a core or ribonucleic acid (RNA) wrapped in a protein coat. He removed the nucleic acid component of the tobacco mosaic virus from its noninfectious protein part. Then he recombined the molecules and the virus became infectious again showing the infectivity of a virus resides in the nucleic acid portion of the virus. 1997 – Peter Dennis Mitchell died. Mitchell was a British chemist who described the method adenosine diphosphate (ADP) is converted into adenosine triphosphate (ATP) in a cell. He was awarded the 1978 Nobel Prize in Chemistry in recognition of this work. He discovered the process known as oxidative phosphorylation while investigating the mitochondrion, the organelle that produces energy for the cell. 1927 – Marshall Warren Nirenberg was born. Nirenberg is an American biochemist who shares the 1968 Nobel Prize in Medicine with Robert Holley and Har Khorana for describing how the genetic code of DNA commands protein synthesis. 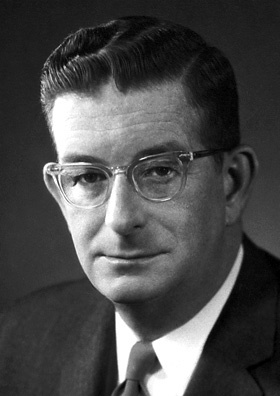 1917 – Robert Burns Woodward was born. Woodward was an American chemist who was the first to synthesize organic compounds like quinine, cholesterol, cortisone, strychnine, and chlorophyll. He opened up the field of artificial synthesis and was awarded the 1965 Nobel Prize in Chemistry in recognition of his research. 1887 – Bernardo Alberto Houssay was born. Houssay was an Argentine physiologist who earned half the 1947 Nobel Prize in Medicine for discovering how the pituitary gland regulates glucose or blood sugar levels. 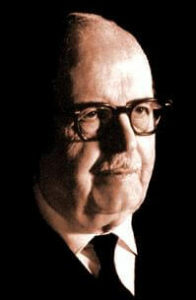 Houssay researched several different branches of physiology including the circulatory, respiratory, nervous, and digestive systems. He also researched topics in immunology and toxicology. He helped create the Institute of Physiology at Buenos Aires University, one of the premier South American medical schools. He served as its head until a change in the Argentinian government disagreed with his politics. It would take another change in government twelve years later to return him to his former position. 1884 – Jean-Baptiste-Andre Dumas died. 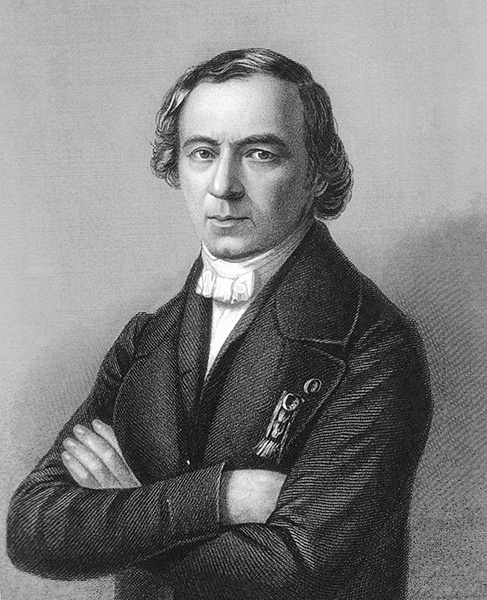 Dumas was a French chemist who pioneered the field of organic chemistry and determined atomic mass by measuring vapor density. He is also known for his “Law of Substitution” where the hydrogen atoms of a compound could be substituted by chlorine or oxygen atoms in some organic reactions without greatly changing the compound’s structure. 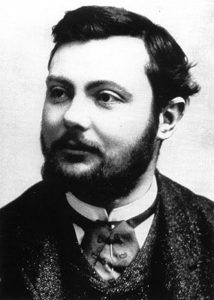 1863 – Paul-Louis-Toussaint Heroult was born. Heroult was a French scientist who discovered, simultaneously with Charles Hall the process of aluminum electrolysis. Aluminum was extremely expensive to produce before this and it was used in luxury items like jewelry. With electrolysis, aluminum was relatively inexpensive to produce. He used the same idea with his next invention, the electric arc furnace to smelt steel. 1766 – John Leslie was born.